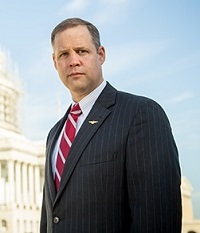 Politico reports the nomination of Rep. Jim Bridenstine (R-OK) to become the next NASA administrator might be doomed when the full Senate votes on it. “I know that at this point they do not have the votes,” he said. “This is the last thing in the world that NASA needs. NASA has never had a partisan politician. It needs a space professional as its leader.” Marco Rubio hasn’t taken an official on the nomination, but has criticized Bridenstine’s selection. Bridenstine had a rough confirmation hearing before the Senate Commerce Committee where Nelson is the ranking member. Democrats criticized his positions on climate change and social issues. They also expressed concerns over his lack of an engineering or science background and inexperience in running large organizations. Republicans defended Bridenstine, saying he had the knowledge and experience to run the space agency. 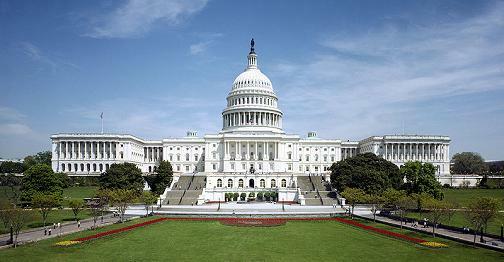 Republicans control the Senate 51-49. Mike Pence can break 50-50 ties. NASA has been without an appointed administrator since the Obama Administration ended on Jan. 20, 2017. Robert Lightfoot has been serving as acting administrator until the Senate approves a replacement. 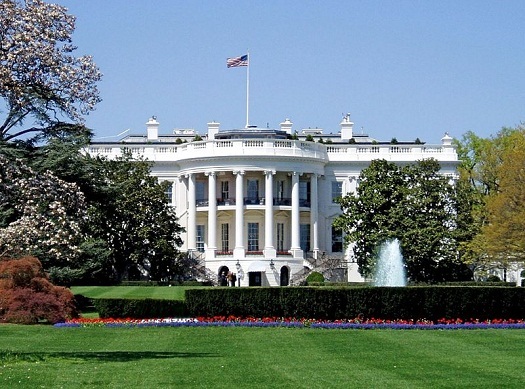 The Trump Administration had yet to nominate anyone for the position of NASA deputy administrator, a position that also requires Senate approval. 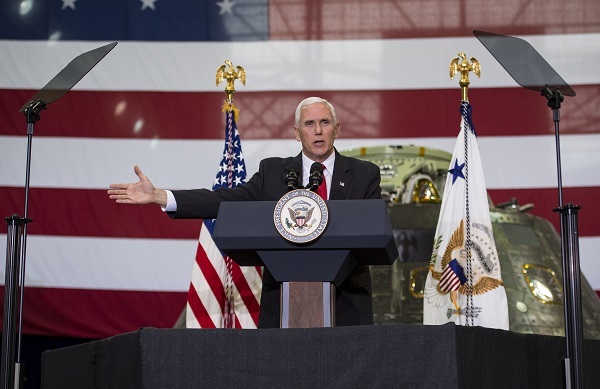 Vice President Mike Pence’s speech at NASA’s Kennedy Space Center last week was long on rhetoric and short on details, but a few themes and priorities have already emerged in the Trump Administration’s slowly evolving approach to the nation’s civilian space program. In a speech in which he repeatedly praised President Donald Trump, Pence used some variation of the word “lead” a total of 33 times (“leadership” 18 times, “leader(s)” eight times, “lead” six times and “leading” once). and international assets and adding important capabilities that are currently lacking. 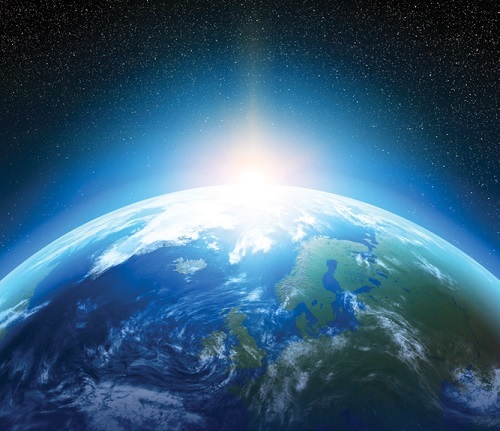 The Strategy and Action Plan build on efforts at the National Aeronautics and Space Administration (NASA) to better detect and characterize the NEO population as well as recent efforts at the Department of Homeland Security (DHS) to prepare for and respond to a NEO impact. Together, they aim to foster a collaborative effort in which the Nation can better understand, prevent, and prepare for the effects of a NEO impact. The Nation must continue to leverage existing networks of expertise and capabilities, both public and private, and pursue targeted enhancements to improve the ability to manage the risks associated with NEOs. NASA does more than explore other planets; it studies our own. Agency scientists worry Donald Trump will abort the work. ProPublica, Dec. 12, 2016, 8 a.m. The wonders of NASA 2014 Mars rovers, astronaut Instagram feeds, audacious missions probing distant galactic mysteries 2014 have long enthralled the American public. 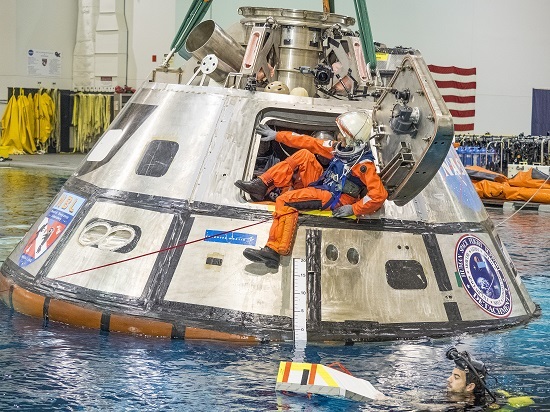 And, it turns out, the accomplishments have won the agency the public’s trust: Polls have consistently shown NASA to be the second-most trusted government institution, behind only the Centers for Disease Control and Prevention. 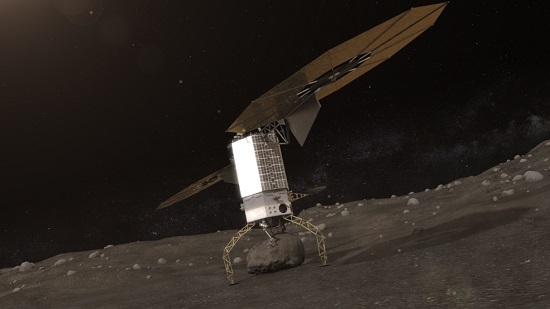 WASHINGTON (NASA PR) — A new report provides expert findings from a special action team on how elements of the Asteroid Redirect Mission (ARM) can address decadal science objectives and help close Strategic Knowledge Gaps (SKGs) for future human missions in deep space. 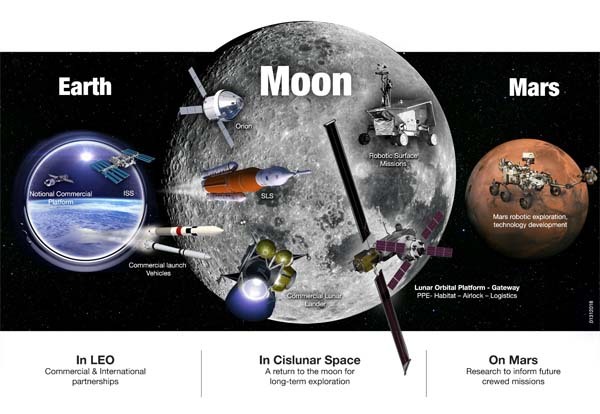 Read the report online: ARM Connections to the Priority Small Body Science and Exploration Goals. And NASA is leading the way for this push with plans to send humans to Mars in the 2030s. Recently, NASA announced that they plan to dedicate up to $30 million over the next five years to support university-led research institutes to more rapidly develop two game changing capabilities needed to make this happen: ultra-high strength, lightweight materials and bio-manufacturing for deep space exploration. 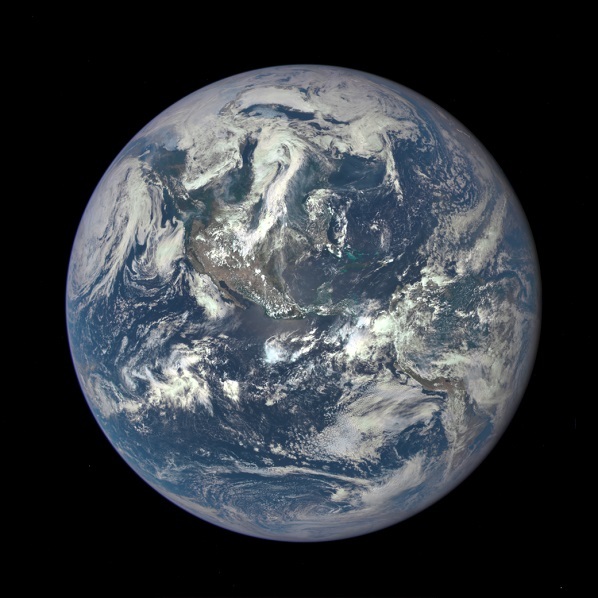 “While it is satisfying to see the White House increase its request for NASA’s Planetary Science Division to $1.52 billion, it still represents a cut to the program’s current funding level. 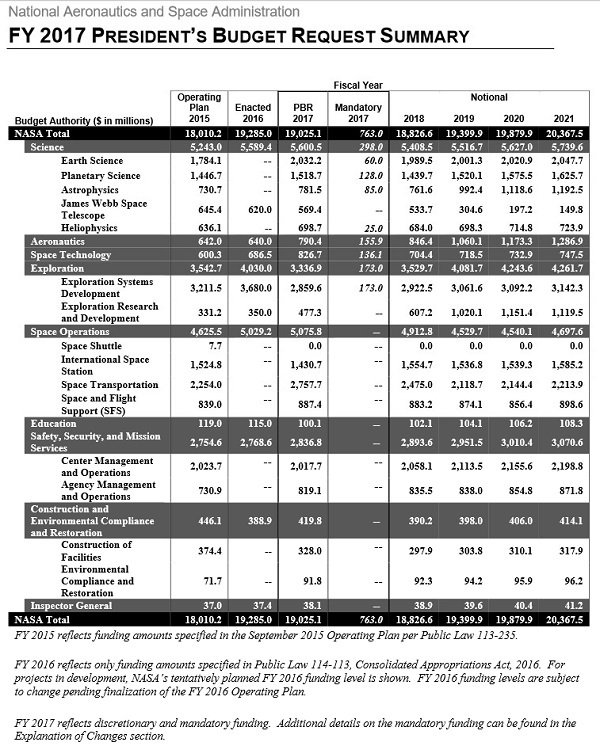 The Planetary Society believes that all of NASA’s space science divisions deserve support, even Planetary Science, which has now experienced five proposed budget cuts in five years. After the stunning successes of last year’s Pluto flyby, the exploration of Ceres, and the confirmation of flowing water on Mars, the nation should not back away from planetary exploration now. and continues the Nation’s Journey to Mars. NASA’s budget advances the Nation’s space exploration plan and ensures our nation remains the world’s leader in space exploration and technology, aeronautics research and discovery in space and Earth science. 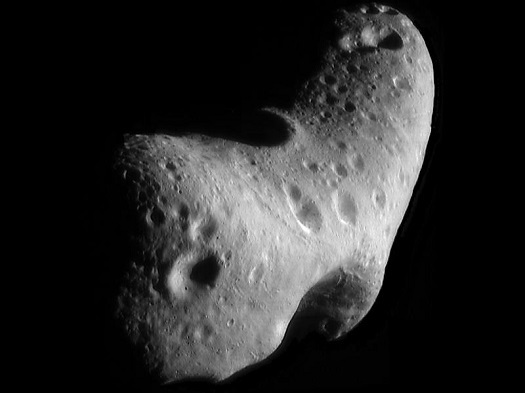 The budget supports developing the technologies that will make future space missions more capable and affordable, partnering with the private sector to transport crew and cargo to the International Space Station, continuing the development of the Orion crew vehicle, Space Launch System and Exploration Ground Systems that will one day send astronauts beyond low Earth orbit. The budget also keeps the Webb Telescope on track for a 2018; builds on our scientific discoveries and achievements in space; and supports the Administration’s commitment to serve as a catalyst for the growth of a vibrant American commercial space industry. 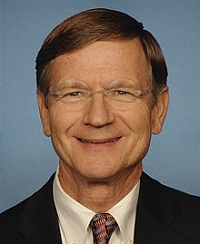 Lamar Smith on Obama’s Budget: I HATE It! Smith’s statement is reproduced in full after the link.